We have added quick selection buttons into the exchange visibility configuration window: Select all – select all exchanges with one click, None – clear selection. Option series codes now use one format everywhere in the interface. 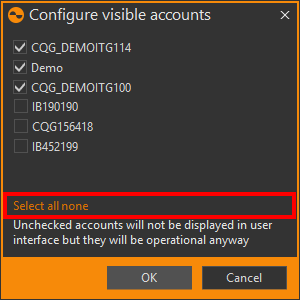 We have added a quick selection functionality into the accounts visibility configuration window: Select all – select all accounts, None – clear selection. We have added a Remove all positions command into strategy’s context menu. 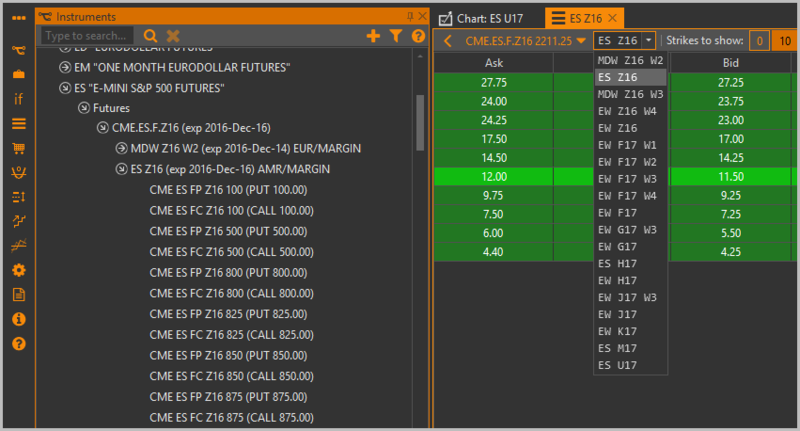 Option Workshop now automatically closes a strategy chart when the user deletes a strategy. 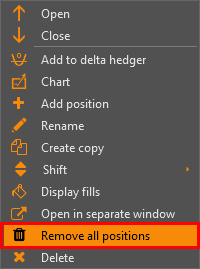 Previously what-if scenarios could be deleted only through the context menu. Now you can delete what-if scenarios by pressing the** Delete** key on the keyboard. 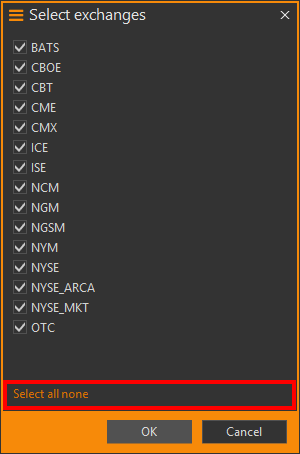 Also, what-if scenarios list is automatically sorted in alphabetical order.